Did you know that John Jacob Astor competed directly with the U.S. government in the fur trade in the early 1800s . . . and won? 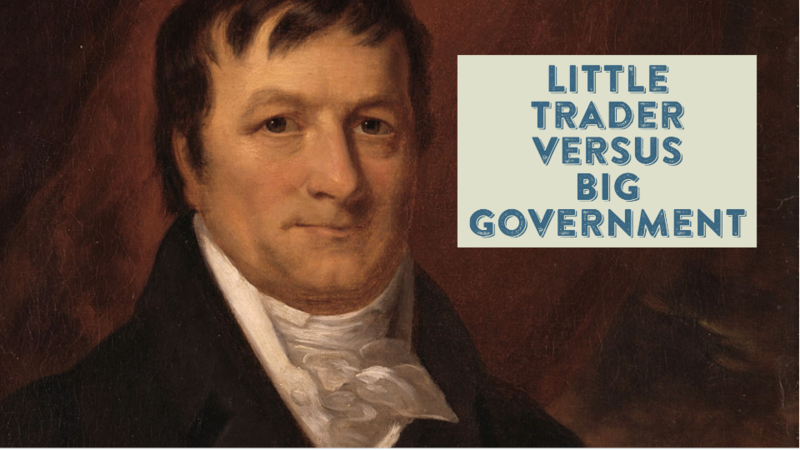 They say (whoever “they” is) that you “can’t fight city hall.” It’s even worse if you are fighting Uncle Sam, but in the early 1800s, John Jacob Astor not only fought the U.S. government, but he won. The conflict involved the fur trade. It’s interesting that at the time, the government did not build roads or bridges, but did engage in fur trading—exactly the opposite of today. Astor, an immigrant who ran a musical instrument business, had heard fabulous tales of wealth from traders in the Old Northwest and Canada. By 1786, Astor had enough money to start his own fur-trading business, but he still had to sell pianos and trumpets to make up the shortfall. Eventually, however, Astor’s business expanded up the Hudson as far as Montreal and he gained a personal fortune. He soon found his toughest competitor was the U.S. government, which had established fur trading posts of its own. Astor determined to beat his competitor—who merely had taxpayer money to play with. He cut costs by developing a new system of engages, or mostly French traders; he built storehouses and recruited an army of boatmen and interpreters; and he traded goods with the Indians that the government would not, namely whiskey and guns. Astor forced prices down, personally poring over the ledger books from his storehouses and paying the lowest possible wages. By 1820, the U.S. government was forced out of the fur-trading business. But Astor’s victory was short-lived, as a new wave of trappers and traders, such as Jim Bridger, opened the trans-Mississippi West to the Rocky Mountains, setting up their own distribution networks. Astor finally sold his fur business in 1834. He returned to New York to become a Manhattan real estate magnate, at one time owning Greenwich Village. Most of the great Titans of Industry in the 1800s were incredible philanthropists, but not Astor. There is not a single concert hall, university, library, or public work with his name on it. In today’s “give back to the community” mindset, Astor would be a pariah. But he played by the rules of the day, and defeated the biggest competitor of them all.